Yea I took a look and liked the selection and prices. The pics of young ladies, while certainly appealing in their own right, seem a bit out of place. I then found a lot of complaints about them. 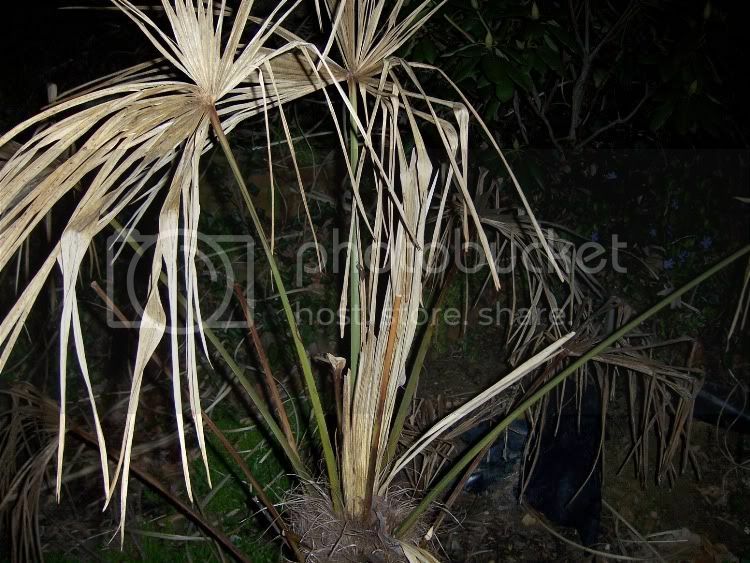 I am ordering a Pindo Palm from Stokes Tropicals. Any mail order is a roll of the dice. Yeah, its been awhile since I have visited the site and yeah, the ladies were appealing, but at the time, some of them were quite forward. There were also some in there of guys that were suggestive and borderline vulgar and only a moron could not tell what they were up to. At any rate, I hope its a good tree and it does well. You will have to share photos of it once you get it planted. I would not mind having another myself. To update on my Windmill, I cut off some of the completely dead fronds and left the ones with green stalks. I guess time will tell if its dead or not. Like I said, out of the 5 winters I have had it, it has never done this before, even during its first winter here, I never protected it and it did fine. I thought after 5 years it would have toughened up enough. Its just not been a good year for any of my palms. 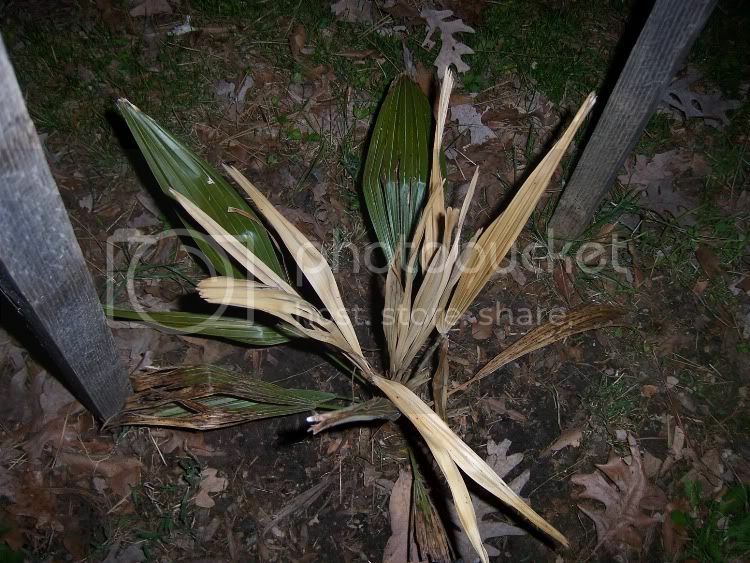 My Needle palm which supposedly supposed to easily withstand -20° temperatures is also looking quite haggard and it never got below 5° here this winter, but as you can see, its looking bad too. I must have one thats no-so hardy? here is what it looked like last summer... very nice. It actually looked like this until about late February... how sad it looks now. Is it going to be lost forever? 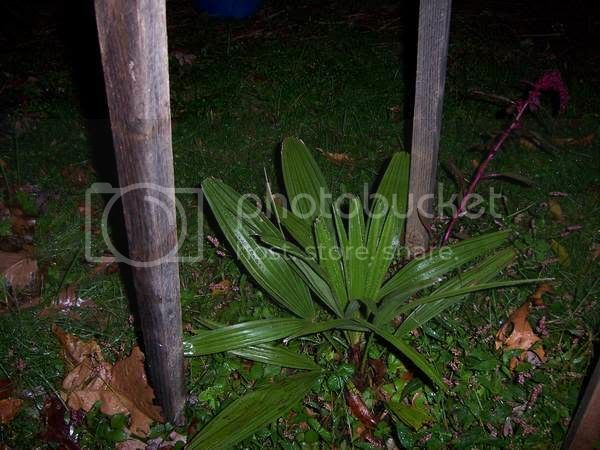 Last edited by Tennesseestorm; 04-14-2009 at 12:01 AM..
it said it was a 2-3 ft. tall tree, but i bought it from TyTy Nursery and after doing some research, i hope i actually get what i ordered, because they sound like they scam a lot of people and dont send them the plants they order. There may yet be life in that palm. Treat her gently and she could come back. And give her a coat next winter. Update on my order from TyTy, i just received all my plants today, and i was very pleasantly surprised. My Longleaf pine is about 4 feet tall with a thick trunk and looks very healthy. The Pindo is also very healthy looking and is about 3.5 feet tall, with a large root ball and lots of new growth ready to emerge. 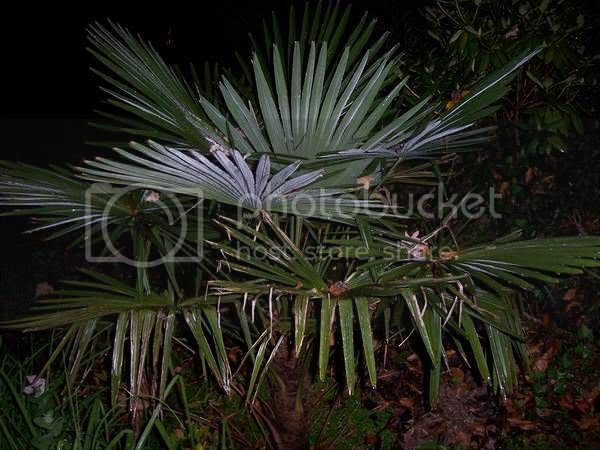 The Silver Saw Palmetto is barely 2 feet tall, but it looks very healthy. All in all, I am very impressed with the quality of the plants, especially when I have heard so many bad things about TyTy. I will probably order from them again if I need anymore plants. I'll try and get some pics of the plants when I plant them in the ground, I have them soaking in some water overnight because they did look a little dry. Sounds great! If the Longleaf is 4 ft tall, its definitely out of its grass-stage and will grow like a rocket this year! PLEASE, PLEASE be sure that the roots at the bottom of the root ball are not rootbound and "spiraling". If so, break them up the best you can and make sure the tap root is free. 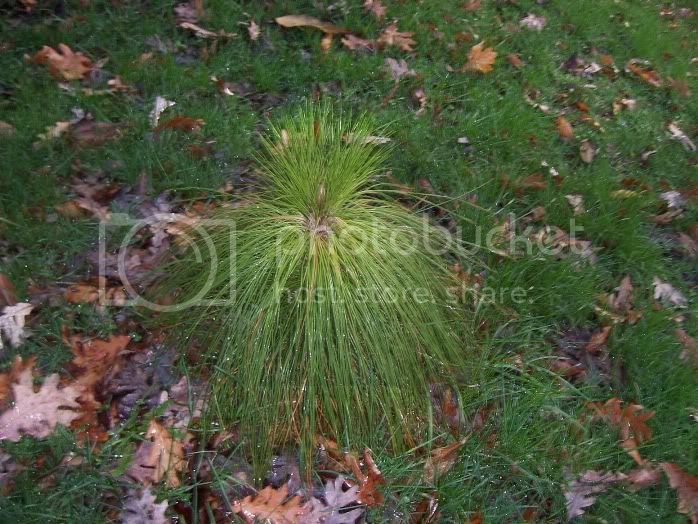 I think thats what happened to my larger Longleaf pine that I may have to end up chopping down. The roots were spiraled (and this was when it was small) and not I am having problems with it being loose in the ground. I hope my other one is not like that. I was told this was common with the larger potted Longleaf pines. Post some photos of these once you get them planted if you can. Enjoy! edit/update - I went to the site for the first time in awhile and yeah, they have the same photos that had when I was last there... some are quite strange. Anyway I must say I am suprised to see that they have the Longleaf pine listed as low as a zone 2 tree (which is -50°). I am thinking these are zone 6b trees at the lowest. I do know of some of these that are growing in the central Virginia mountains which is probably zone 6a. They are officially rated as zone 7a and higher trees. They also have Lobolly pines listed as low as zone 2.... another tree officially rated down to zone 6. Last edited by Tennesseestorm; 04-14-2009 at 11:53 PM..
i noticed their zone information to be little off as well, they show White Pines only being cold hardy down to zone 7, and im pretty sure they can grow all the way down to zone 3. have any of you all had any experience with Pindo Palms? i dont know if i can overwinter it outside here in zone 6b/7a. That is strange... yeah, the White pine is rated lower than Loblolly/Slash/Longleaf pines. There are literally thousands of White pines around here... we have 7 ourselves in the lawn, which matches the number of our Loblolly and Slash pines now. Our lawn is going to look like a Carolina Pine forest when these trees start getting really big. I have about 8 Slash pines, 8 Loblolly pines, 2 Longleaf pines, 1 Pond pine, 1 Sand pine and those White pines and thats just the pines... lol. Sorry, I have no experience with the Pindo palms. After my sad experience with my palms this past winter, I think I am finished with them... if these survive, then fine, but I am not going to plant more if they perish I dont believe. Yes a lot of their zone info is a bit optimistic. I am in the process of ordering a Pindo Palm and it will get the sunniest part of the lot. I realize I am pushing it though. what zone are you in? im in 7a and a pindo is probably pushing it here, also. The area does get a lot of winter wind protection, which I think will help. Around here in zone 5 we have huge stands of white pine trees mixed with maple and hemlock. Our common pine varieties are: red, white, and jack. I just planted a balsam fir the other day. Those trees are spectacular.